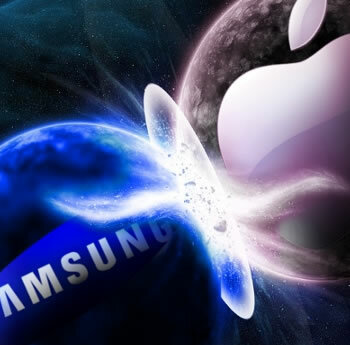 Samsung's run of misery continues today after South Korea's Fair Trade Commission announced its intention to launch an investigation into allegations by Apple that the electronics firm is abusing its leading position in the smartphone market to disadvantage its rival. It adds further complications to an already complex global legal battle with the iPhone maker and follows the landmark US case between the two firms last month that resulted in Apple walking away with over one billion dollars in compensation after Samsung was found to be violating multiple patents. "We are reviewing whether allegations in the complaint lodged by Apple are true," an unnamed Fair Trade Commission official said, on the condition of anonymity, as the details are still private. "Apple filed a complaint earlier this year that Samsung is breaching fair trade laws." For its part, Samsung is seeking a ban on infringing Apple products in several markets for allegedly using several of its third-generation patents for its wireless technology without license agreements. Apple maintains that the patents in question are essential technology for wireless 3G devices, and their South Korean counterpart is refusing to offer licenses to use the patents under fair, reasonable and non-discriminatory (FRAND) terms. On August 24, a South Korean court ruled that both firms were infringing on patents they held. The fines levied were relatively small but products from each side face bans as part of the verdict. Apple had its iPhone 3G, iPhone 4, iPad and iPad 2 barred from sale, and for Samsung's wrongdoing, 12 of its Galaxy smartphones and tablets joined Apple's devices. The court even went as far as to say that Samsung was within its rights to pursue a sales ban and was not abusing its position. The South Korean firm strongly denies any abuse of power. Referring to its 1998 agreement with the European Telecommunications Standards Institute to license its 3G patents on FRAND terms, a spokesperson said "Samsung has at all times met its obligations to the fair licensing of its telecommunications standards-related patents."